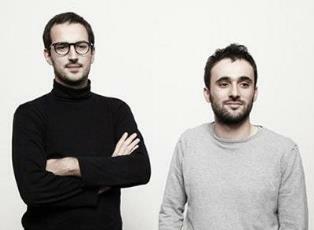 Studio Klass was established in 2009 and is a partnership between Marco Maturo and Alessio Roscini from Italy. They both received a Bachelor's degree from the European Institute of Design in Milan, where they now both work as design professors. Studio Klass specializes in industrial furniture and product design. Their mission is to create innovative solutions for the functionality of a product and the way it is used via colors and choice of materials. “Nowadays, we are all surrounded by high-tech devices. They give us what we need but in a cold way. We think contemporary design should take the emotional aspect of a product during its usage into account. Products should help us to better consider our daily routines, like for example preparing breakfast or lighting a candle for a romantic dinner. In our opinion, that helps us connect to design and to the things we surround ourselves with”.